My Ginkgo seedling is doing well - April 2014. I collected seeds in the South of France in September 2013. More seedlings on my Photo Special-page on my website. 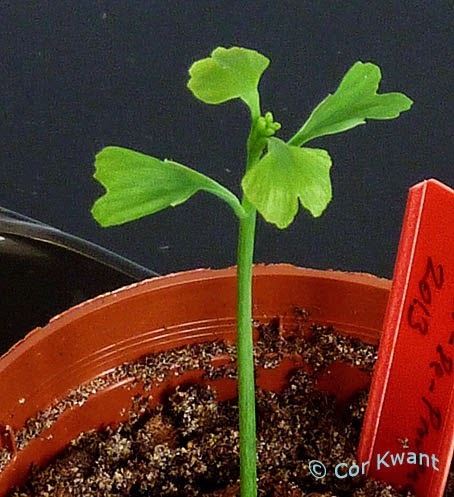 * New Photo of the Month on photospecial page: My Ginkgo seedlings. * New topic: Cretaceous stick insect fossil mimics Ginkgo foliage. My Ginkgo Tweets timeline on Twitter: Ginkgo news, photos/videos, reactions by followers and more. Now over 1,200 followers! Follow me on Twitter for more Ginkgo posts! 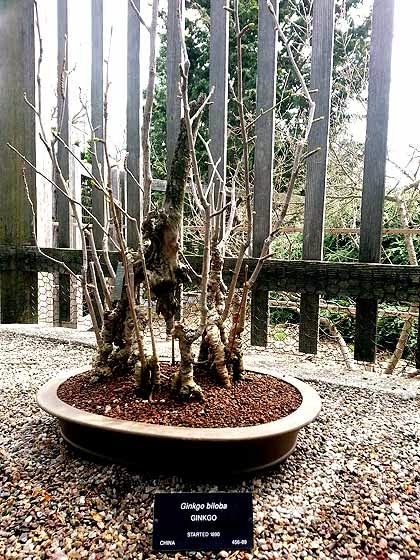 This Ginkgo bonsai with chichi dates at least from 1890. 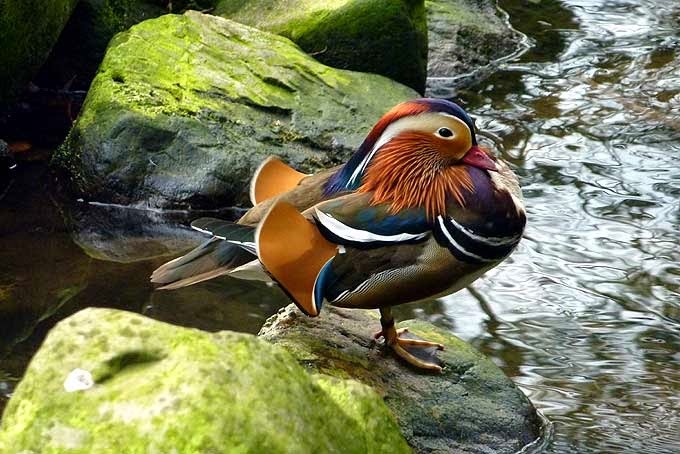 It is part of the Larz Anderson Collection at the Arnold Arboretum of Harvard University, Boston, Massachusetts, USA. 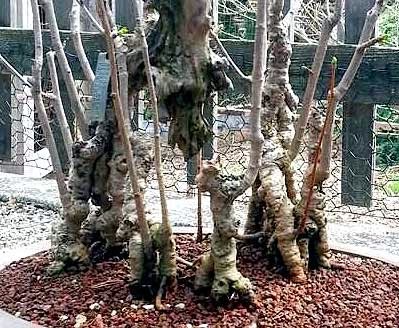 Read about Bonsai care at this Arboretum here. More info, photos and video on my special Bonsai-page. Photo courtesy Mick McCue, thanks! 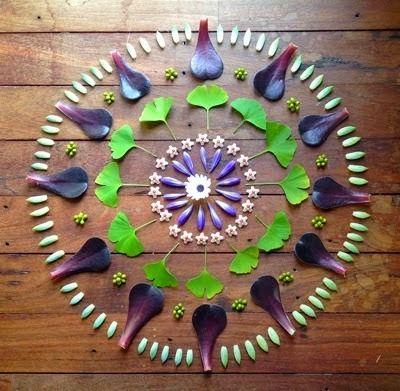 Lovely floral art with Ginkgo leaves.